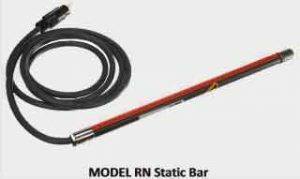 The HAUG RN ionizing bar is a powerful and rugged piece of equipment. Its construction satisfies all technical requirements and it has proven its value repeatedly in the removal of electrostatic charges during roll, sheet, and web (continuous product) processing. Production interfering surface charges can be removed reliably and effectively, even at high operating speeds. The round construction of the RN ionizing bars permits the exact axial adjustment in the direction of travel of the material. The ionizing bar is safe to touch. Special wear-resistant electrodes guarantee long service life. The HAUG VS ionizing bar reliably removes electrostatic charges and its performance, when compared to the standard version, is three times the power. This tremendously improves the static removal and is designed to address extremely high charges, faster speeds, and greater distances. 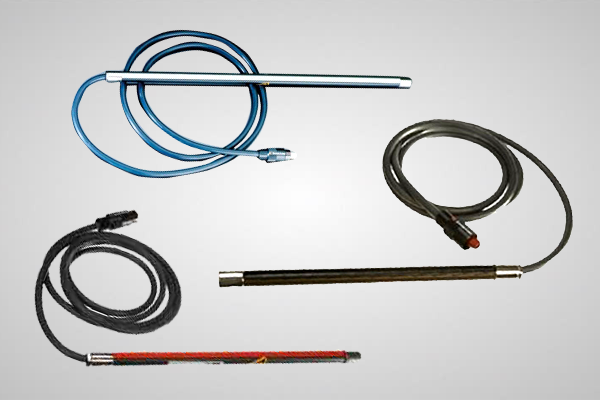 The VS ionizing bar has all of the typical features that characterize HAUG ionizing bars: the reliable and removable plug-and-socket connection System X-2000, the shielded high-voltage cable, the special stainless-steel electrodes, and the convenience of being safe to touch. HAUG has been a competent manufacturer of ionizing units approved for equipment in areas with potentially explosive atmospheres for many years. These are intended to eliminate unwanted electrostatic charges in areas where hazardous gases may form, such as paint plants or printing machines. Graphical industry: Screen, tampon, and offset printing machines etc. 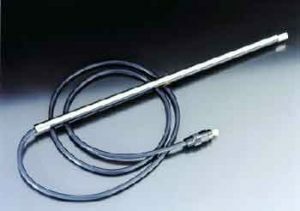 These static bars can also be provided with high-voltage connection at the end of the bars for series connection of ionizing units (daisy-chain units end to end) or without HV-cable, suitable for connection of a flexible, separate high-voltage cable with elbows or tees – a variety of systems to “minimize” the need for excessive cable and extra power supplies. HAUG ionizing bars are used with machines in the packaging, film, printing, and textile industries, as well as many other industrial applications. It is recommended that two ionizing bars be installed above and below the material web. 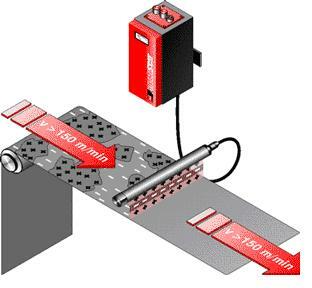 The RN ionizing bar is suitable for feed speeds = 100 m/min. 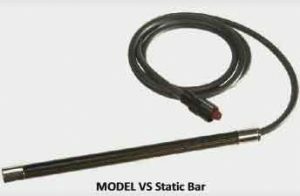 When the application calls for a hand held static elimination device the ideal product is an Ionizing Air Gun. Important features should be ergonometric design, weight, and flexibility. Cable should be fully shielded especially with anti-static guns to have adequate life expectancy. The Haug Ion Gun is ergonometrically designed, “repairable”, and extremely powerful for applications where a flexible hand-held unit is required. The cable is lightweight, flexible, and fully shielded. This unique design consists of specific parts so that they can be repaired by replacing the damaged part, either by returning to Nex Flow or ordering the part and repairing it in the field. Due to the often rough handling ion guns receive in an industrial environment, the Haug Ion Gun is an ideal choice. The Ion Gun comes with a patented safety connector ensuring the ultimate safety and quality in the field. The cable is FULLY SHIELDED which results in a much longer life for Haug products.